Please support me with a donation to the St. Baldrick’s Foundation. This volunteer-driven charity funds more in childhood cancer research grants than any organization. For more information about Ned and to make a pledge to him click here. 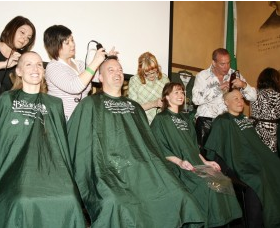 The St. Baldrick’s event is this Saturday, March 10th at Meehans Sandy Springs from 12pm to 2pm.